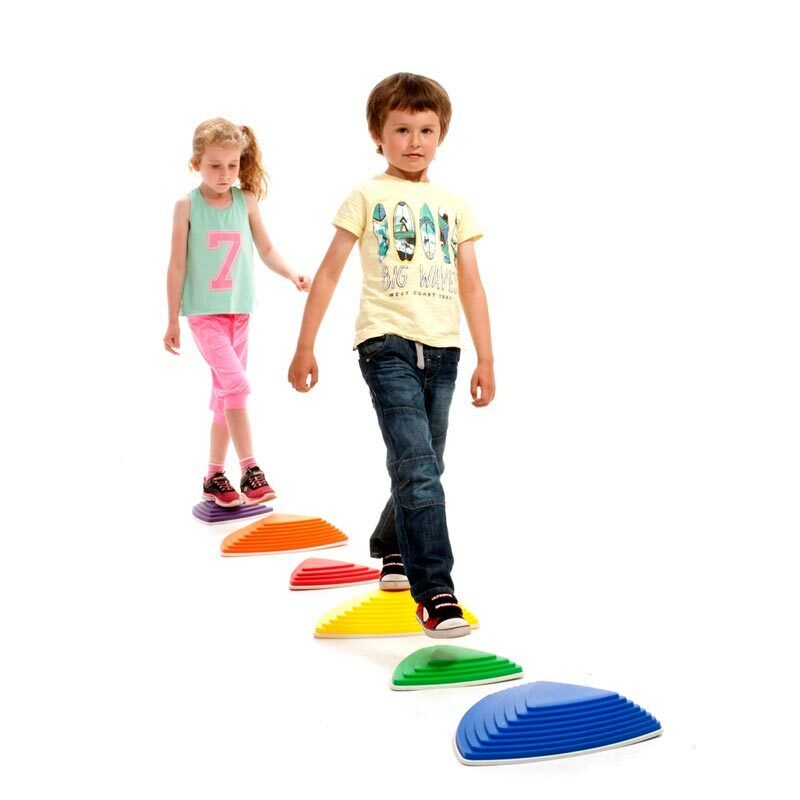 First Play ® Stepping stones are great for developing balance and co-ordination. Create a number of obstacle courses to encourage children to gain spatial awareness by stepping, hoping and jumping between stones. Made of durable plastic with rubberized non-slip edges. Each set contains 3 large stones and 3 small stones. Develop balance and movement skills. Large 80mm (h) x 370mm (w) x 370mm (l). Small 50mm (h) x 260mm (w) x 260mm (l).